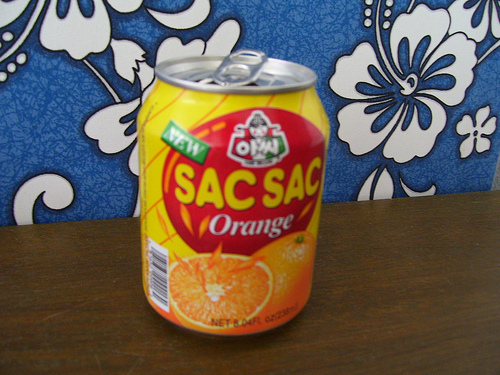 10 Korean products I would export to the U.S. (if I had an export business) #10, SAC SAC Orange Juice | Eugene is huge! « Korean companies beat the competition today, but will this always be the case? 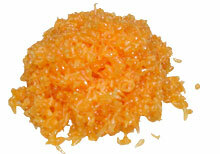 Most orange juice in the U.S. made from concentrate. That means that they take a lot of the water out of it and freeze it, before shipping it to distribution centers, where they thaw it out and add water to it, or just sell you the frozen concentrate so you can add the water yourself at home. To say the least, it’s less than fresh. Sure, you can buy the fresh stuff itself, but it’s even more costly, and still doesn’t taste as good as SAC SAC. What’s so special about SAC SAC? Well, if you’ve ever opened an orange (or any citrus fruit), you’ll notice that inside each segment, the juice is contained within a tiny sac. Usually when you make orange juice, even straight from the orange, you end up crushing the sacs, and they remain as “pulp” (or empty flavorless sacs). SAC SAC however, is not only juice, but it’s juice with in-tact sacs inside of it. To top it off, I think it’s made of mandarin oranges (I’m not totally sure). At any rate, it’s much sweeter than normal orange juice, and if you drink it you can also chew on the sacs and get more sweet juice. Mmm mmm mmm. How did you find out about SAC SAC? This actually happened in the 1980’s in Korea. My brothers and I went on a camping trip with my father, and we had with us some American canned orange juice. Somewhere along the line we decided we needed more orange juice, so when we went shopping, the place we went to didn’t have American canned orange juice, so my Dad simply picked up some domestic stuff. My bros and I drank it the next morning, and we were instantly hooked! The 6 pack of American OJ didn’t get touched and Dad had to make a SAC SAC run in the middle of our camping trip. It’s awesome, and I think that if they were to export this to the U.S. along with a huge marketing campaign, it would quickly become the healthy drink of choice for kids everywhere! Sunny Delight, beware! Check out this really weird commercial for it! I was trying to find a Korean commercial for SAC SAC, but the only thing I could find was this really strange 1980’s commercial that was trying to capitalize on the V fad. What’s the V fad? In the early 1980’s in the U.S. there was a science fiction show, called “V”, about lizard aliens who assumed human disguises and attempted to conquer the Earth. This show became a huge hit in Korea, and long after V was finished in the U.S., it was being shown again and again in Korea up until about 1988. I’ve been told that there were even Korean made comic books that continued the story of V. I guess the people who came up with the commercial wanted to somehow suggest that with SAC SAC, you can defeat those horrible lizard aliens! Since i’ve talked so much about V, I think I’ll have to post a V video just for some people who might not remember it. Beware, the following video has laughable special effects is quite graphic. This entry was posted on September 20, 2010 at 1:51 pm and is filed under Uncategorized with tags comparisons, Food, futuristic, hot women, product reviews. You can follow any responses to this entry through the RSS 2.0 feed. You can leave a response, or trackback from your own site. What’s bong bong? Is that another drink? BongBong is also juice which is similar to SACSAC. BongBong is the strongest competitor of SACSAC. Probably you can find it in a supermarket. I love 쌕쌕! I was first hooked in 1992 when at the age of nine I picked up a can for some relief from the sweltering summer heat whilst waiting for a bus at Gwangju bus terminal. I’ve read your excellent article on romanisation of hangul and have yet to come across anything as well explained and useful for the uninitiated. Still, I was struggling to understand why you’d write 쌕쌕 as SAC SAC until I remembered to try the sound again with an American accent. Being British I read the ‘A’ totally differently. I don’t know why I sometimes still forget to bear this in mind! Luckily for me Korea Foods imports and distributes 쌕쌕 for the UK market, though I have to go to London to get it, which at 100 miles is a bit of a trek for a can of juice, yummy though it is! Oh, what does that mean? 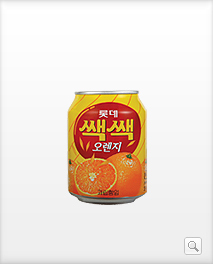 Isn’t there any other cans except for Korean cans? I live in Alabama and they sell them here. I don’t think most people would like the pulp. I think he meant that he wants to export it en masse, so that it’s not only sold in Korean markets in the U.S., but in all supermarkets, and not in the ethnic food section, but along with all the other juices and drinks..
I’m really impressed by the SAC SAC commercial. That commercial looks really old. It’s really old-fashioned. How did you find that commercial?? You’re so talented. oh, man… i haven’t had a sac sac in so long! dang, now i want one. I love orange juice and Italy is also a big producer but it doesn’t exist orange juice in cans. Well… yes, but they’re all carbonated drinks. I think SAC SAC could be a very good product to import from Korea to Italy too!